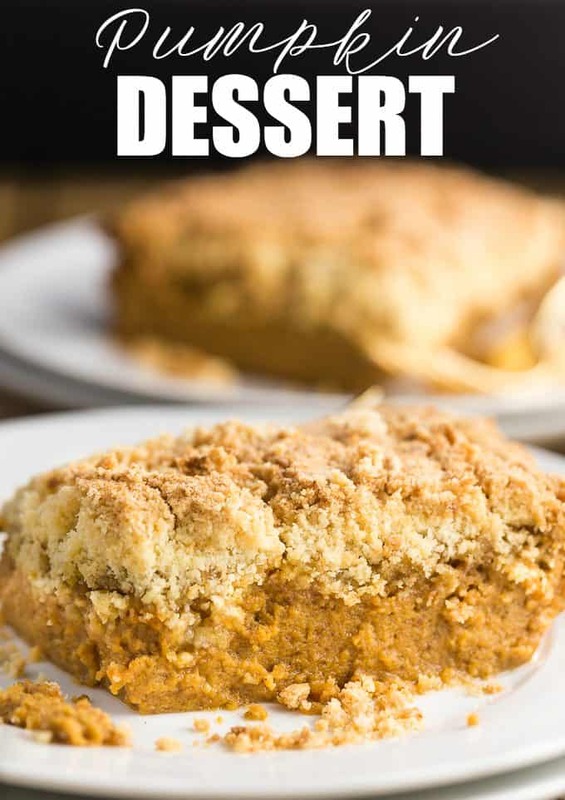 If you don’t feel like making a pumpkin pie this Thanksgiving, my suggestion is to make this Pumpkin Dessert! 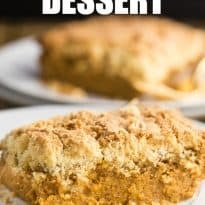 I think of it as half pumpkin pie and half cake. There’s no crust to make! The bottom layer is a smooth pumpkin pie and the topping is golden cake. It’s super easy to make and takes only about 20 minutes to prepare with another 1.5 hours to bake in the oven. You can eat warm with some vanilla ice cream on top or serve it cold with a dollop of whipped cream. Either way, it’s simply divine! Made with yellow cake mix! Easy to prepare and tastes as good as pumpkin pie. Preheat oven to 350°F. With an electric mixer, beat the eggs until they are frothy. Add in the sugar and continue to beat. Add pumpkin, the spices and beat until mixed well. Add in evaporated milk and beat on low to blend. Pour pumpkin mixture in a greased 9×13 inch pan. For the topping, add the cake mix and butter into a bowl. Mix together to get a crumbly consistency. Sprinkle over the pumpkin mixture. Bake for 1 1/2 hours or until a toothpick comes out of the center pretty much clean. Serve hot or cold! This looks really yummy! I plan on trying this. 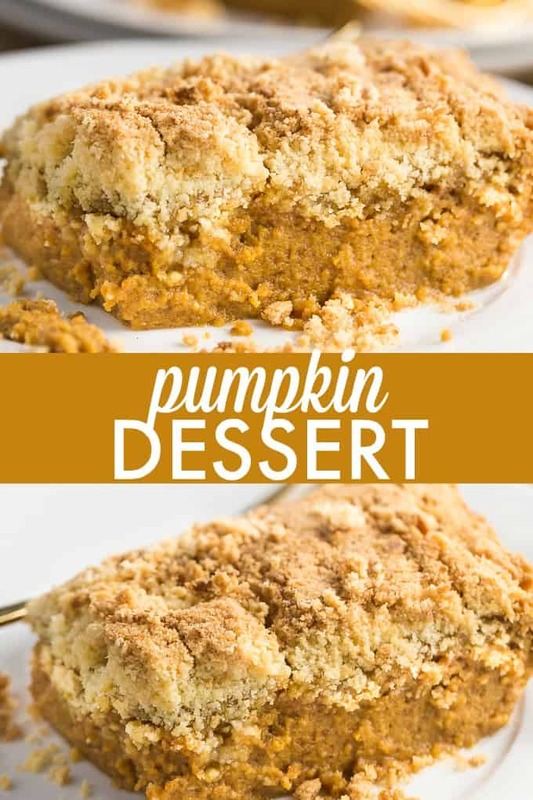 mmmm I love pumpkin pie but this sounds even better, this ones a keeper for me!! You had me at pumpkin. Yum-0. I love pumpkin pie and I’m always looking for ways to put a new spin on it. This looks amazing! Thanks for sharing! I’m not a lover of pumpkin pie. This is much more my style! Thanks for sharing with See Ya in the Gumbo!